I've always been fascinated by Norse mythology. It is a harsh world where trickery, cunning, and sheer brutal strength are part and parcel of everyday life. It is also a world of complex relations between the deities, rivalry, comradeship, but also cunning and violence. 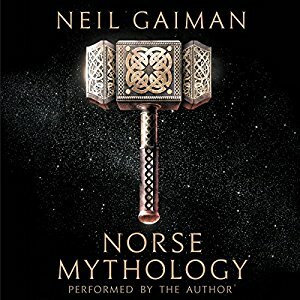 Neil Gaiman interest in this area has led him to write this retelling of Norse myths. It reads really well as the author has succeeded in making the language modern, while still keeping the original spirit of the tales.